Spatial heterogeneity has myriad influences on ecosystem processes, ecosystem services, and thus the sustainability of urban areas. It acts as a medium for urban design, planning, and management to determine how processes affecting sustainability can operate and interact. Therefore, how spatial heterogeneity is conceptualized and measured in cities is crucial for enhancing sustainability. 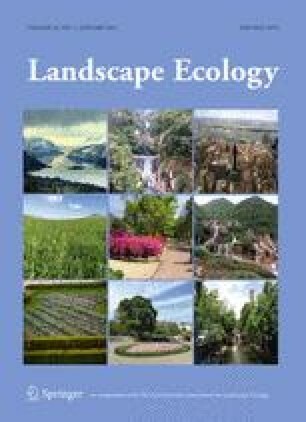 We show that the two most commonly used, but contrasting paradigms of urban ecology, ecology IN versus ecology OF the city, determine how spatial heterogeneity is thought of and used in different ways. We identify the key implications of these theoretical contrasts for the practice and assessment of sustainability in urban areas. We review and compare the different ways in which ecology IN versus ecology OF the city affect how to conceptualize, model and map urban spatial heterogeneity. We present a new framework to guide the comparison of spatial heterogeneity under the two paradigms. The integrative nature of this new framework becomes apparent under the ecology OF the city paradigm, because it recognizes the hybrid social and bioecological nature of heterogeneity in urban ecosystems. The hybrid approach to patchiness resonates with the three pillars of sustainability—environment, society, and economy. We exemplify how the more comprehensive and integrated framework of spatial heterogeneity under the ecology OF the city paradigm (1) supports more effective measurement and integration of the three components of sustainability, (2) improves management of heterogeneous urban ecosystems, and (3) satisfies calls for improved ecological tools to support urban ecosystem design. This research was funded by the National Natural Science Foundation of China (Grant No. 41371197 and 41422104) and the One Hundred Talents program. The support of the U.S. National Science Foundation LTER program (Grant DEB 042376), CAREER program (DEB-0844778), and Urban Sustainability Research Coordination Network (RCN 1140070) is also gratefully acknowledged.